Tell us a little about Winnie Dot. What inspired you to start? I was on maternity leave for just one week and I was bored (I’m not very good at sitting still). I started to decorate my soon-to-be baby girl’s nursery and had a very strong vision of what I wanted, however, I couldn’t find it. Instead, in the early hours of the morning (thank you pregnancy insomnia) I order supplies to make my first timber beaded mobile. A week later, they arrived, I got creative and WAH-LAH! I had no idea how to use Instagram at the time but thought I’d use that as my main platform. My husband and I had the name Winslow Dorothy picked for our darling daughter and it seemed only right to name my business after her. What has been your biggest milestone with Winnie Dot Label? You have such a beautiful family, what are your favourite things to do together? We live a FIFO life. My husband doesn’t have the typical manning job, he works overseas and has been doing so for going on 8 years. The lifestyle is challenging (but so is most parenting situations) though we choose the find the positives in ours. The quality time we get together when he is home outweighs all the negatives. We live in a stunning beach town and we absolutely love getting outdoors and exploring. We are the “less is more” kind of people and find enjoyment watching our little loves experiencing things for the first time. As long as we are all together, we don’t mind what we are doing. What is something that your two little ones do or say that make you cry from laughter/grin from ear to ear? Oh gosh, where do I start? Winslow is at such a fun stage of life where every day she is doing or saying something new. Every day I find myself in fits of laughter as I watch their little personalities blossom. They are both so different and I could watch their mannerisms all day long. Did you ever think Winnie Dot Label would be as big and popular as it is today? Honestly, yes and no. I never started this with the intention of it to be a phase or a hobby. However, I started it completely blindfolded and did not know where I’d end up. Every decision I have made in my business has been trial and error – I guess that’s why it is so exciting. Every day I am faced with challenges and am constantly brainstorming ways I can better my company and myself. 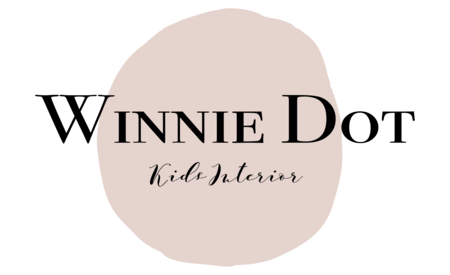 I have big plans for Winnie Dot and I have no doubt in my mind that I will get there, but I promised myself that I would grow my business but always remembering that I am a MUM first. I never want to look back and regret I didn’t soak in the golden years. For those who are wanting to be a stay-at-home mum and run a business of their own, what’s your biggest piece of advice for them? ROUTINE! I can’t express that enough. With a great routine comes time management and organisation. You also need to be disciplined or else work will consume you and you will wear yourself out -I learnt this the hard way. Finding the balance between motherhood, wife life and business is a struggle – the juggle is real. But it has taken me 2 years and 2 babies to find this balance.